Attractions and suggestions for day trips and excursions. 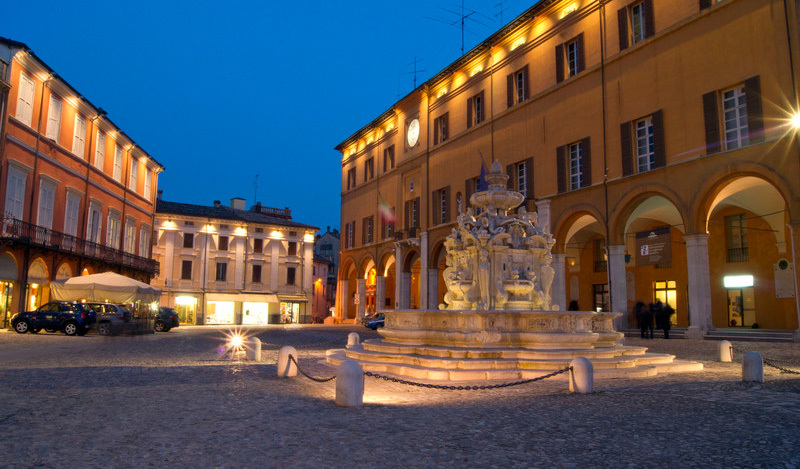 One of the most important goals of art in Romagna, Cesena is also a must for lovers of good food and good wine. The Lordship of the Malatesta guaranteed a period of great splendor and donated to the city priceless cultural treasures, architectural and artistic still appreciable. A visit to Cesena can not do without a stroll along the lively streets of the center, Piazza del Popolo, Palazzo del Ridotto, dominated by the bronze statue of Pius VI, the Cathedral of St. John the Baptist, with the Chapel of the Madonna del Popolo and the Museum of Sacred Art which preserves the precious painting of the Madonna of the Pear of Paolo Veneziano, the Theatre "Alessandro Bonci" jewel neoclassic. The cultural offer is completed by the Museum of Natural Science, the Municipal Art Gallery and the Archaeological Museum, one of Centuriazione. 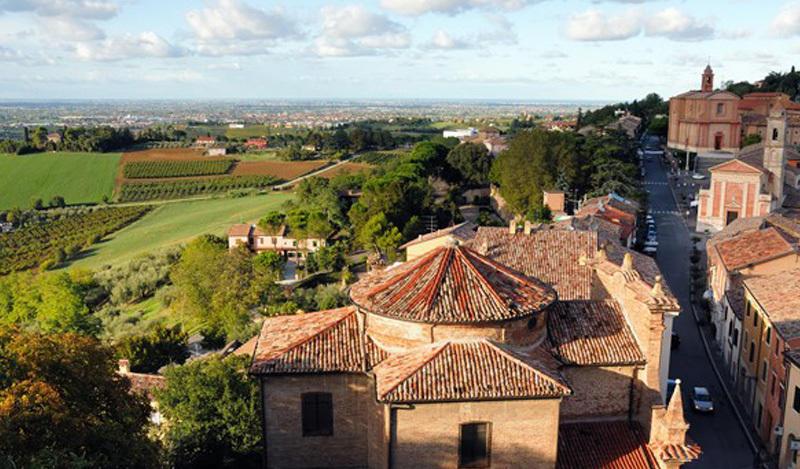 On a hill, visible from every part of the city, stands the ancient Abbey of Santa Maria del Monte. 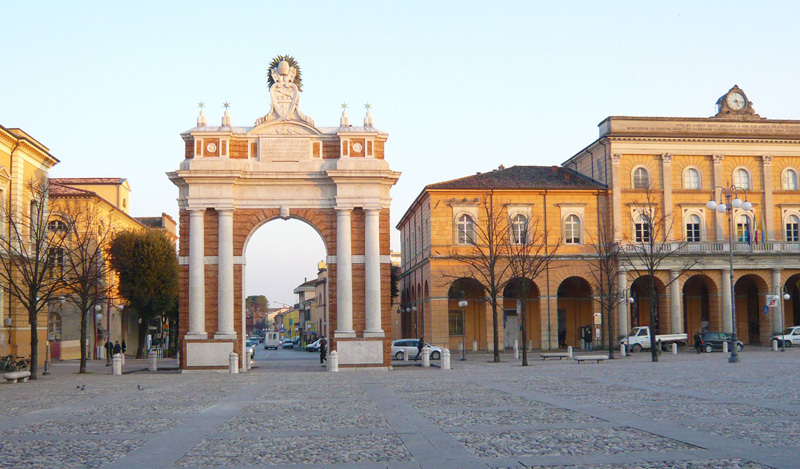 Longiano is a country of Romagna, in the province of Forli Cesena. In 1992 it was awarded the title of "Ideal Village". The old village is enclosed by a double wall circuit which is accessed through three medieval gates. 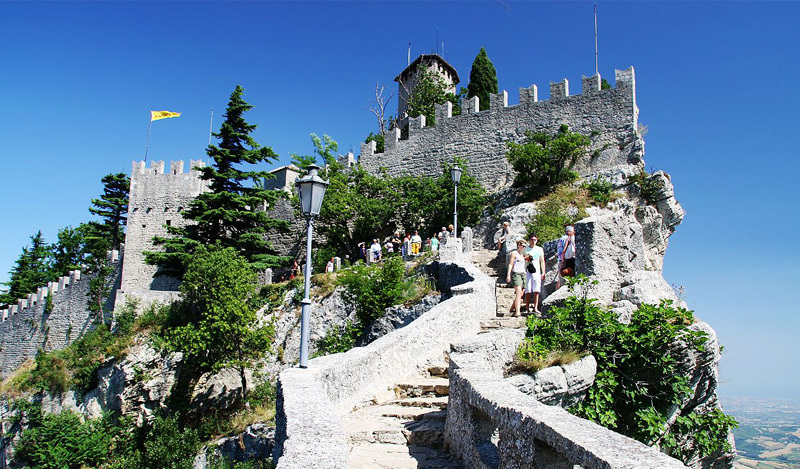 The old town is dominated by the massive structure of the Malatesta Castle, fortified complex recently restored; the civic tower you can see all the way to the Adriatic Sea. Inside the castle houses the Fondazione Tito Balestra, Longiano poet of the twentieth century. The foundation preserves and exhibits the most significant collection of contemporary art of the region: a beautiful collection of figurative art with more than 2,000 works by artists of the '900 Italian (Rosai, Maccari, Sironi, Morandi and many others) and an important collection graphic works of foreign authors (Goya, Chagall, Matisse). Open Tuesday to Sunday and holidays from 10 to 12 and from 15 to 19. Other cultural center of the city is the Teatro Petrella of Longiano. Ravenna can be defined with certainty a treasure unknown to the majority of Italians. Overshadowed by the most famous Italian art cities (Florence, Rome, Venice, Naples) it is actually a town that attracts tourists extraordinary and art lovers from around the world. Few know that was three times the capital of three empires: the Roman Empire, of King Theodoric of the Goths and of the Byzantine Empire in Europe. 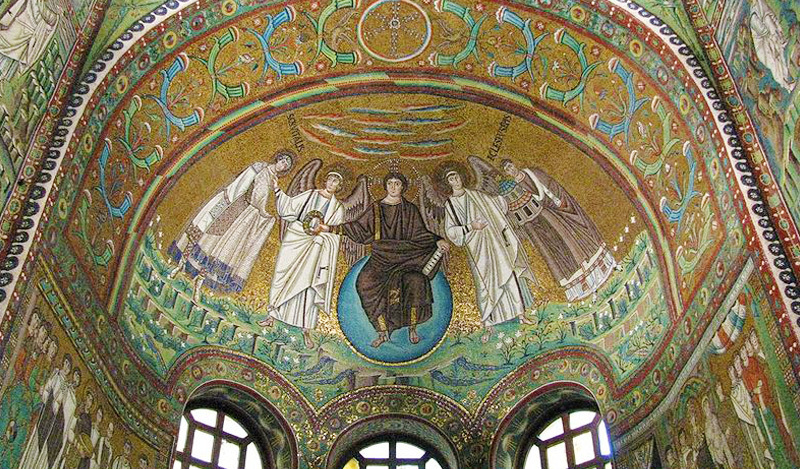 This past is witnessed by basilicas and baptisteries of Ravenna, where he keeps the richest heritage of mosaics dating from the fifth and sixth centuries. Few also know that Ravenna has eight monuments included in the World Heritage List of UNESCO and that the remains of Dante are kept here, and not in Florence. San Leo, wonderful capital of art, quoted by Dante Alighieri in the Divine Comedy, is the hub of the historical region of Montefeltro and is the city that gave its name. Known for its historical and geopolitical location for films and documentaries, a popular tourist destination, is the pearl guarded by the province of Rimini. The unique shape of the place, an impressive rocky mass with sheer cliffs has determined, since prehistoric times, the dual military and religious significance, as shown by artifacts of great value. The medieval village is located on the Via Emilia, 10 km north of Rimini and 20 km south of Cesena. In a straight line to the sea from the beaches of Rimini North and Bellaria Igea Marina, which is 13 km away. There are many reasons why it is worth discovering Santarcangelo: for its strong identity of Romagna and the atmosphere of big village punctuated by a right rhythm of life, for its architectural beauty made of noble palaces, houses borghigiane, alleys and squares that have received the title of City of Art, for the international events that animate it no less of village festivals full of aromas and flavors. According to tradition, the Republic of San Marino was founded in the early fourth century (3 September 301 AD) by a Dalmatian stonemason named Marino, escaped the persecution of Diocletian. It is considered the oldest republic in the world. In the Middle Ages (XIII century), the country gave a municipal law that in many ways is still in use today, and since then he always knew how to keep its independence for centuries. 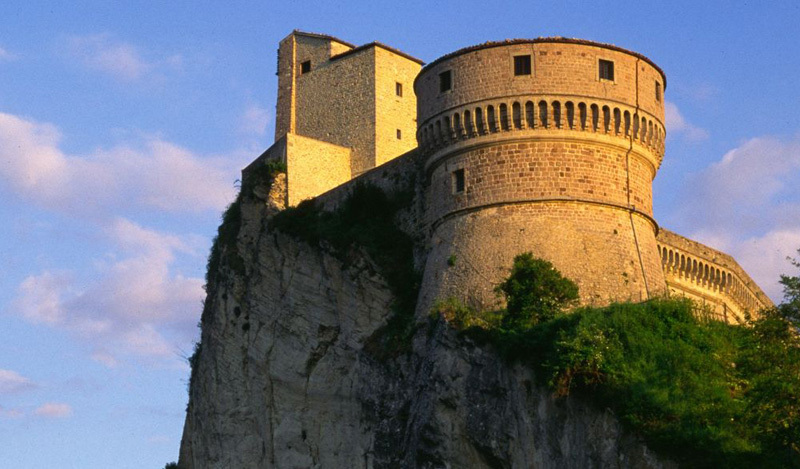 Today the state is divided into nine castles: City of San Marino (the capital), Acquaviva, Borgo Maggiore, Chiesanuova, Domagnano, Faetano, Fiorentino, Montegiardino and Serravalle.